Maintaining your fitness is hard, and often times we wind up feeling like hamsters on the wheel or grunting monkeys. But fitness doesn’t have to mean staying cooped up inside —here’s how you can have fun with your summer workouts, so you can keep that hot bod well into sweater-weather. Spend an hour learning about surf culture in Nova Scotia, and then hit some gnarly waves at Lawrence Beach with WSL Pro: Surf Lessons. 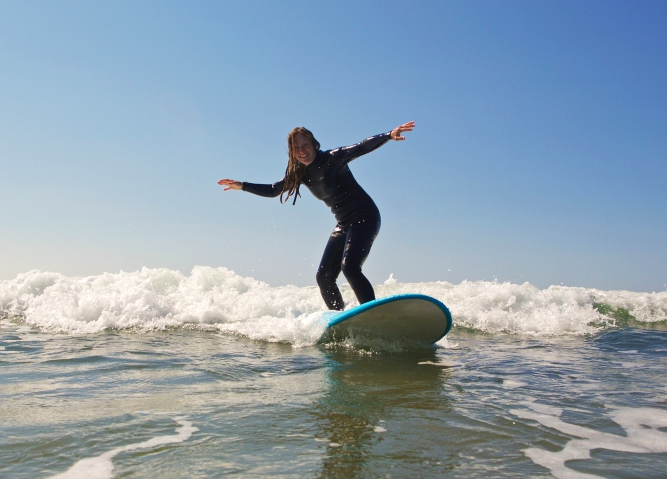 Who better to keep you safe on your surf than pro and ISA level 2 instructor Nico Manos? Don’t know who he is? Don’t worry – he’s got you. Let loose, and let your core and legs burn, baby. 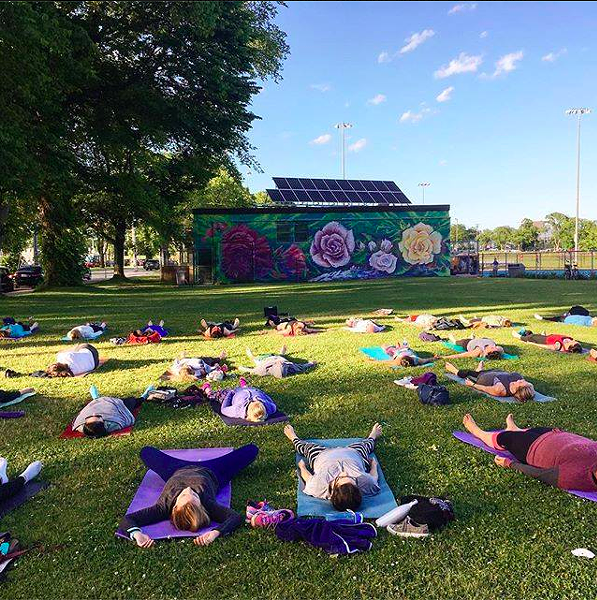 Lie in the grass and let Yoga in the Commons be your active rest day on Tuesdays at 6:30 pm with a $5 donation. Lululemon and F45 Training Downtown Halifax team up for free boot camp sessions throughout the summer to kick you into high gear for the fall. With different locations each time, you’ll need the schedule to keep track of where you’re meeting bright an early at 8:45! We’ve all thought about it, and now you can try it without abandoning your entire life. inesS offers aerial classes like hoop or silks, pole fitness, and other cool contortion-concoctions to funk up your fitness. Hang tight and let yourself fly. Tone up those biceps by throwing axes at your target – no, that doesn’t mean at your ex. Timber Lounge takes the game of darts to a whole new level, and you’ll be feeling it in your arms the next morning. For you fit bachelor/bachelorettes, their liquor license makes for the perfect combo of activity and replacing your lost calories with local beer. Fitness isn’t just about running and lifting, it’s about jumping. Get Air in Dartmouth lets the kid in you out to play, and if we remember correctly, kid versions of us were mostly fit and active (pre-iPhone.) Wear your Fitbit and check that working heart-rate mid-jump. For our callused-fingered friends and lovers of height, the HRM has one of the best bouldering cafes that will awaken muscles you didn’t even know you had. 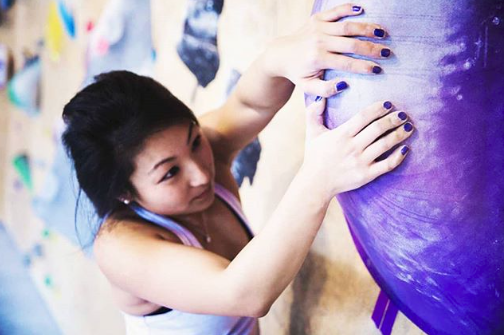 Seven Bays Bouldering seems intimidating at first, but once you meet some of the seasoned-climbers, you’ll realize that everyone is there to help you reach the top. Take to the open seas and row amongst the big-boys. Kayak Halifax rents canoes and kayaks to bring you out into the harbour and lets you float alongside the cruise ships and sailboats. Be prepared to paddle through waves only the ocean could produce – but we said these workouts would be fun, not easy. Whoever thought of stand-up paddle boarding knew there were some of us who weren’t surfers but didn’t really love kayaking either. 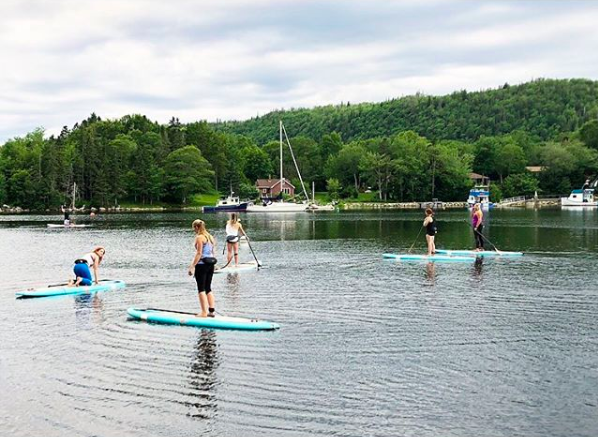 Sup Yoga Halifax offers a full-body workout, or a kneel and glide down St. Margaret’s Bay. Brace your core and get ready to test your balance on the board. From vintage cruising down inner-city routes like Point Pleasant Park, to heart-pumping mountain biking, I Heart Bikes lets you rent the bike you’ve always wanted. Keep it low commitment and grab a bike for a couple of hours or do the dream tour for a few days. Halifax is surrounded by nature trails that are bike-friendly. These wheels will take you back to drive-ins and poodle-skirts. 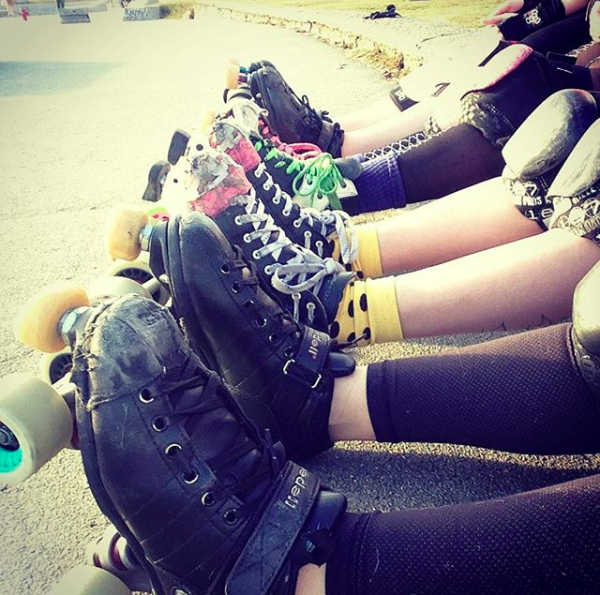 Coffin Skate rents out 50s- styled roller skates for a new spin on your Oval experience. Take it to the next level and participate in a roller derby tournament or crash their skate-dance parties throughout the summer – the following event is on August 11. Stay fit for yourself or do it out of the goodness of your heart. Maintaining your summer fit-life means that you can join the fun and participate in the Canadian Cancer Society CIBC Run for the Cure with thousands of Canadians in 56 communities across the country. Canada’s largest single day, volunteer-led event in support of creating a future without breast cancer, takes place on Sunday, September 30. Sign up to run or walk in your community today. This content has been developed and paid for by CIBC Run for the Cure, without involvement from The Coast’s editorial department.